Hunting animals with a bow makes sense, since it’s quiet, and won’t scare off other animals in the area when you shoot. 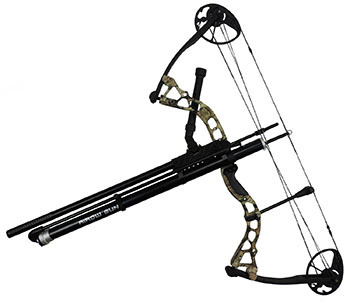 But the Airow, a ridiculously-priced bow with a tube you can load with paintballs, doesn’t make a lot of sense. It sounds a loud “PTONG” when you fire, and other paintball players know you’re trying to shoot them, so it’s not like they’re going to wander around eating leaves until you do.